Bitcoin is the first-mover, it’s the OG, it’s the king. But in 2017, the “king” of cryptocurrencies was not without its struggles. Congestion flared up on the network like never before toward the end of the year, causing confirmation times and transaction fees to acutely skyrocket. Now, to be clear, BTC hasn’t come anywhere close to dying yet in the ongoing scaling war with Bitcoin Cash (BCH), but its current growing pains have been strongly felt throughout the ecosystem over the past few weeks. Something has to give, many are saying. Sooner rather than later, too. And that’s where the Lightning Network (LN) comes in. If the Lightning Network can deliver on its promises, then Bitcoin could soon be seeing millions of transactions per day of throughput. So let’s dive into LN: what it is, how it works, and the controversies around it for a little perspective. Bitcoin is a revolutionary technology, but its 7 transactions-per-second throughput at the current 1MB block size became a bottleneck in 2017 as mainstream adoption seemed to begin knocking at the door, e.g. Goldman Sachs’ forthcoming cryptocurrency trading desk. The consistent roulette of surges and adoption developments had new users flocking to BTC in droves, which seriously slowed the as-yet unscaled legacy Bitcoin network. Simply put, then, Bitcoin needs a lot more capacity than 7 txs a second. VISA handles 4,000 per second, and for Bitcoin to eventually win out, it’ll need to surpass that marker. And that’s where the Lightning Network comes in. Such a system could be considerably alleviating if current network congestion is any indication. So let’s get into some of the details. 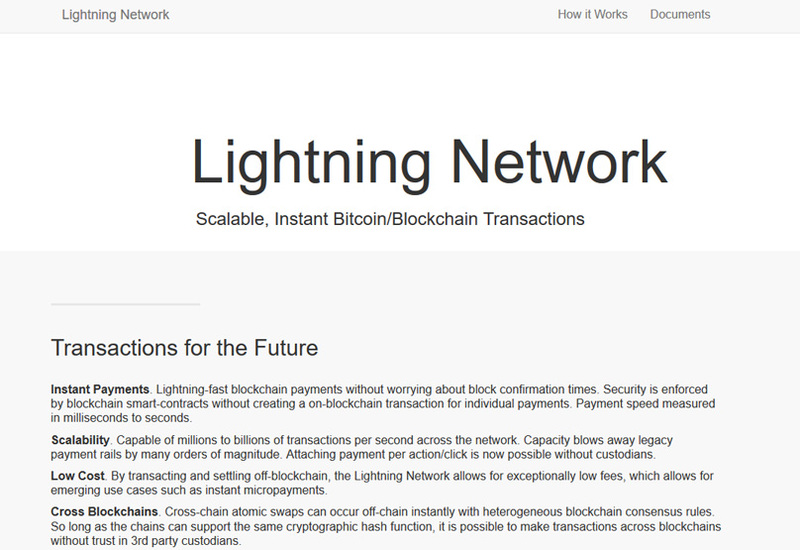 The idea behind Lightning Network is that small txs don’t have to be stored on the main blockchain. Take these payments off-chain, thus alleviating the burden put upon the main BTC blockchain. How will that work exactly? By opening what’s known as state, or payment, channels. Payment channels are used to facilitate lots of transactions off-chain, thereafter uploading them all at once at a chosen or specified time. To this end, Bitcoin scholar and lecturer Andreas Antonopoulos calls the transactions occurring off-chain in LN as “forward-facing I.O.U.s,” so it’s a bit like cashing at a tab at a bar at the end of the night. A channel is opened, and then it’s closed, and the balance is sent to the blockchain. Payment channels require that a preliminary deposit be uploaded so as to cover the transactions. The deposit is sent to a multi-signature address so no one party has dominant control of the channel. For the “balance sheet” of a channel to be validated, parties in the channel have to sign off on it. And it’s the latest balance sheet that is used to unlock the money. Then, when this channel is opened on the main blockchain, it creates a single transaction, not multiple microtransactions. You can see, thus, how such a dynamic could mitigate a lot of the current strain on the Bitcoin network. 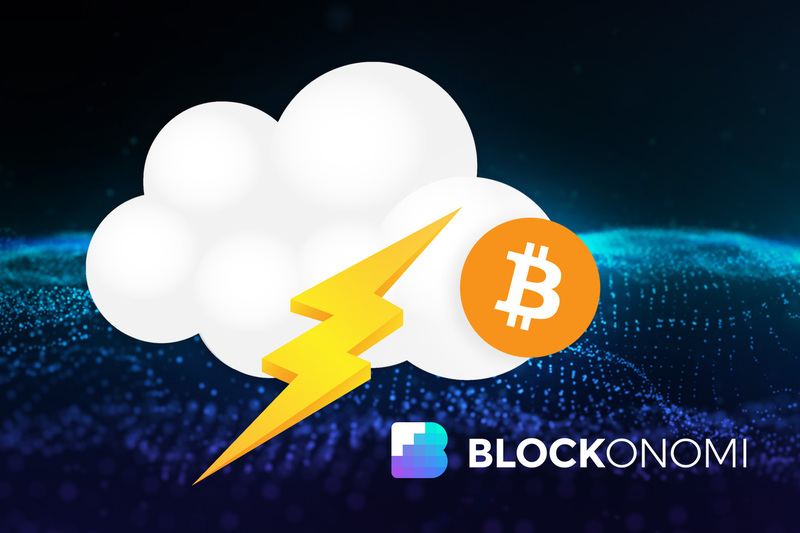 Lots of little transactions become large, singular transactions through Lightning Network, which supporters suggest could make congestion in Bitcoin a thing of the past. Let’s say you’re trying to conduct business with a merchant through a payment channel, but you don’t have a channel open that is directly linked to that merchant. That won’t be a problem with the Lightning Network because the layer 2 scaling solution tries to find the quickest route from A to B using already open and available channels. This will lead to a great deal of optimization as far as throughput is concerned. You txs won’t have to take a redundant path to that merchant; instead, they’ll take the most direct. So your transaction might go through a channel you have open with a friend who happens to have a channel open themselves with the merchant you’re doing business with. Voila, no extra channel opening necessary. Now imagine this hypothetical scenario expanded out to millions, and maybe even billions one day, of users. The throughput optimization of Lightning with millions of open channels would seemingly make it possible for billions of bitcoin transactions per second. How’s that for scaling? In this light, you can understand that under the Lightning Network, bitcoin txs will no longer be like packets but rather like inter-connected circuits. The aforementioned Andreas Antonopoulos has suggested that he considers LN to be like Bitcoin’s version of POS. Because, like staking, Bitcoin users will be able deposit BTC into designated addresses and accrue dividends for facilitating transactions. Now, this POS-like dynamic certainly doesn’t bring the environmental relief that staking can bring, but it does bring an extra edge to Bitcoin that could make it all the more attractive to holders going forward. Hash time-locked contracts are going to help close out channels after a given period of time. So users who open up channels between themselves can set up an HTLC that will close that channel out after, say, 30 days. These contracts will be helpful for facilitating specific merchant arrangements. You won’t have to keep channels open indefinitely if you don’t want to accordingly. One of the oldest critiques against LN is that it’s been in development for a long time. It was supposed to be ready some time ago, but the project still has a ways to go. Rome wasn’t built in a day, as it were, but the absence of LN is being acutely felt right now as network congestion has reached unprecedented levels in recent weeks. Another critique against LN comes from the Bitcoin Cash (BCH) community, and it’s a critique that pertains to “hubs.” Remember how we mentioned non-direct channels earlier? Well, BCHers say this dynamic will undoubtedly lead to the rise of massive financial institutions running third-party LN hubs in order to collect massive amounts of fees. To this end, Bitcoin Cash supporters say Bitcoin Core and Blockstream are turning Bitcoin into a banking system that centralized big banks will run. BTC supporters contest this assertion, saying banks issue credit and Lightning Network does nothing of the sort, making the comparison incongruent. Nevertheless, this is a common critique levied against LN. And, going off this theme, critics of Lightning also say its a way for Blockstream to “intercede” and monetize Bitcoin for the company’s investors. Though Bitcoin legacy supporters are just as quick to fire back as to why Bitcoin Cash’s large block sizes are a terrible idea. When all is said and done, both off-chain and on-chain scaling solutions will undoubtedly be needed for Bitcoin. And, with that said, Lightning Network looks like an astoundingly innovative attempt to work on the former of these two needed approaches. We’ll have to see what happens next, but with LN already on the Bitcoin testnet, it’s possible that Lightning could be coming sooner rather than later.